To find accommodation in Nigeria is so easy since there are hotels that are spread all over the country, in both the small and the big cities found there. The hotels are furnished with good looking rooms that create the required comfort to the customers. It is also common to find comfort budget hotels that are cheaper and affordable to those people with little money. So there is a lot that the hotel offer. Apart from that, the hotels offer spacious rooms with double bed and they are also air conditioned so that the guest can adjust the environment of the room to suit him/her. 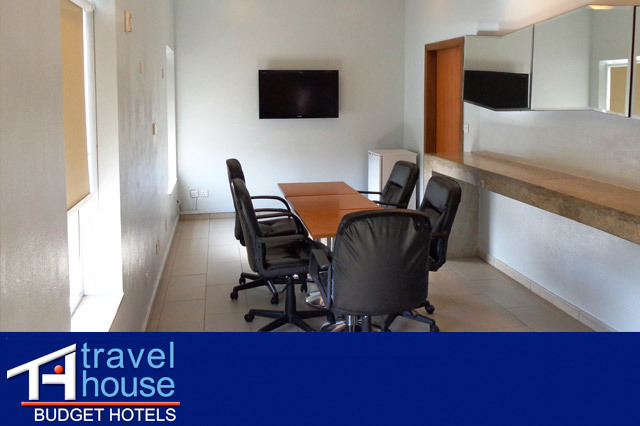 We at Lekki travel house offer rooms that are fit with TV set with more channels and apart from that with avail to you a writing desk and a desk chair within the room with a telephone connected to the receptionist. For the purpose of our guest browsing, we have installed a free WIFI internet connection that is very efficient and helpful. Our hotel rooms are also self contained that they have the shower units and the toilet units within or adjacent to the same room. As for what to eat for dinner lunch or breakfast there is a restaurant menu that you can order some food into your private room from the restaurant within the hotel. Diplomatic travels are also housed in our hotels where we allow groups to book in and have meeting within the hotel due to the presence of 20-people capacity conference room for holding meetings. In addition to all those, there are other basic services that we offer within; the laundry works that cater for your garment washing and the food place where you can have all types of for on order and also beverages in plenty.